The management of Mount Rinjani National Park (TNGR) has said that 1,090 hikers have been evacuated from Mt. Rinjani in West Nusa Tenggara after a deadly earthquake triggered landslides on the mountain on Sunday morning. “The latest evacuation was made an hour ago when we found seven local hikers at the Susuk Cave on the mountain. The rescue team is currently leading them to [an evacuation post in] Sembalun village,” head of TNGR, Sudiono, told The Jakarta Post over the phone on Tuesday. Sudiono said the rescue operation team was still combing the mountain to find survivors. “We will not stop the rescue operation until it’s clear,” he said. The 6.4 magnitude earthquake quake that hit Lombok killed at least 16 people, including one hiker identified as 26-year-old Muhammad Ainul Taksin. Ainul, who hailed from Makassar, South Sulawesi, died because of head injuries. The rescuers managed to recover his body on Tuesday morning. The quake also injured 355 people, destroyed at least 1,454 houses and displaced 5,141 people. According to the National Disaster Mitigation Agency (BNPB), 637 foreign nationals and 192 Indonesians began climbing Mt. 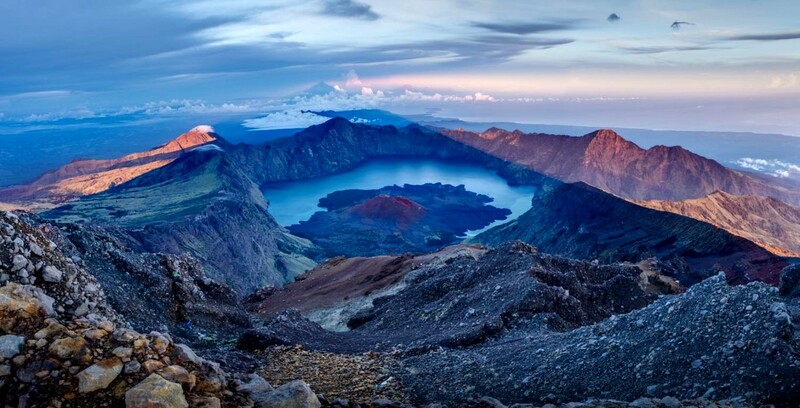 Rinjani, the country’s second-tallest volcano, on Friday and Saturday.